Mt. 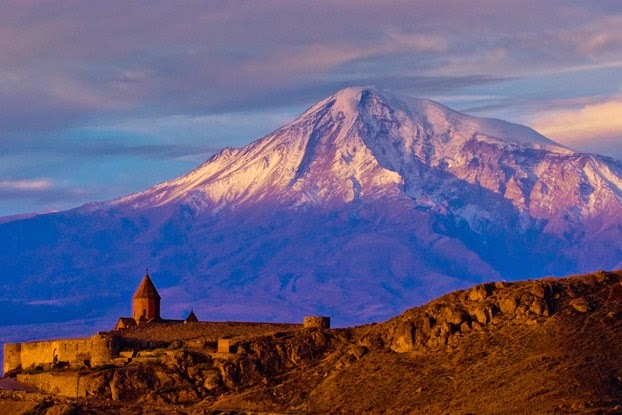 Ararat and Khor Virap monastery. My friend Matt Brennan from World Vision, who works in the social media space, has just launched on an exciting adventure that very much reminds me of something I was a part of, almost 18 years ago! It was May 1, 1997, one week after we had just launched World Vision's first website at www.WorldVision.org. When I say "we," I was working at that time with a committee of advisors, and some on-staff help (Robert Coronado on graphics, for instance), but most of the heavy lifting was actually done by an agency in Washington, DC called "Didax." You've probably never heard of them, but this was the same group of smart folks who later launched their flagship site, which you probably have heard of — www.CrossWalk.com. At the time they were in the business of helping nonprofits like World Vision get started on the Web. And they were a tremendous help to me. My role, mainly, was overseeing planning, navigation, content, etc. I was a bit of a geek (having mastered HTML and built some early web pages in the '90s), but not enough of one to do all the technical work myself, so Didax' skills were invaluable. Our launch goal was May 1, but God is good and we actually were able to press the big button on April 25, 1997. This was important to me, personally, because not only did I want to beat the deadline ... but I REALLY wanted to hit the road with a group of nine other World Vision staff in a vision trip to Romania. We spent two weeks in the country, working with World Vision projects and learning a ton about the transformation that was occurring there after the 1990 fall of Communist dictator Nicolae Ceaucescu. There were huge needs. Romania had Europe's largest pediatric AIDS population, thanks to Nicolae's evil policies, and many thousands of children were being raised by the state in minimally-funded and desperately-understaffed orphanages. World Vision was partnering with some of them to try and help. My role on the trip was primarily to record and report. I took more than 11 hours of video and many still photos. 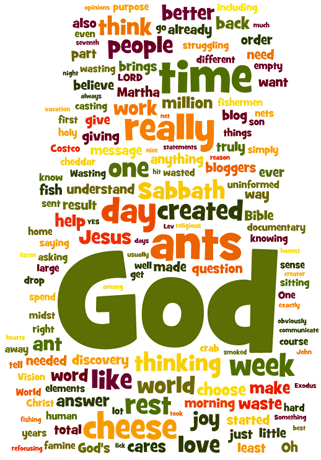 I wrote an early version of what later became known as a "blog" and posted all this resource to World Vision's new website, more or less in real time. I had taken some rudimentary electronics tools and used dial-up service in the various hotels we stayed at (between monasteries) to try and upload and publish web pages about the trip, including photos and video. It wasn't always easy. I remember that one hotel had very nonstandard phone equipment and I didn't have a jack that would work. I ended up splicing into the wires in the phone jack, taking my best guess as to what was what. At one point I short-circuited the entire hotel communications system. Thankfully they never found out it was me. Anyway, back to Matt. Hopefully he won't do anything so devious as short-circuit an entire hotel. Okay, it IS wireless 2015, so I doubt if he'll be fiddling with any copper wiring. Matt is traveling with seven bloggers to Armenia, to visit World Vision projects in what he calls "The Land of Second Chances." He wrote a wonderful blog about it here, sharing five reasons he's excited about the trip. What makes me MOST excited is his fifth reason, the opportunity to spend time with his sponsored child in Armenia. My daughter, Mandy, and I did this with our sponsored child in the Congo during the summer of 2006, and it was a life-changing experience. I am very glad for Matt to be able to do this! I'm also REALLY excited about what the bloggers will discover and write about during this trip. All are already accomplished bloggers (unlike me) who are already sharing their thoughts daily. Fascinating reading. Matt is giving one blogger each day top billing on World Vision's blog, but there's also a link there to what everyone is writing on their own platform. Check it all out at blog.WorldVision.org. Anyway, please pray for safety and great travels for Matt and his blogger friends. And read along/comment each day! Thank you!